We’re delighted to welcome Go4less to Jobs Expo 2015. Go4less specialise in Working Holiday Visas to Canada, Australia, New Zealand and the US. We also offer cheap flights, travel insurance, hotels, sun and ski holidays. 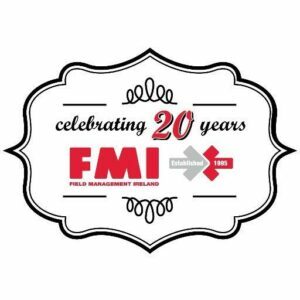 We are an Irish owned fully bonded and licensed Travel Agent and have been operating in Ireland since 2003. 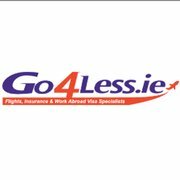 Go4less have a dedicated Work Visa Department on 30 Lower Abbey Street, Dublin 1. Go4less.ie offers great deals on Cheap City Breaks to Paris, Rome, Milan, London, Edinburgh, Glasgow, Prague, Barcelona, Budapest, Bucharest, Brussels, Lisbon & Vienna. We also offer Low cost Package Holidays to the Canary Islands – Las Palmas, Fuerteventura, Lanzarote & Tenerife, Spain, Portugal, Greece, Cyprus, Egypt, Turkey & Tunisia. Go4less is a part of the Club Travel LTD group. Club Travel has been established for 43 years and is the single largest Travel Management Company in Ireland. Enjoying a mix of business, which includes Consolidation, Retail and Ireland’s largest Corporate operation, in 2012, combined sales will exceed € 90 million. Club Travel employs over 120 people between its Abbey Street headquarters, HRG Ireland, Travelcare, www.Destinations.ie, Go4less.ie and Regency Travel, and are Ireland’s most financially secure Travel Company with accumulated profits/reserves of over € 30 million. Club Travel is the original Irish specialist in consolidated, cheap and discount airfares. Our experience in the Irish low fares market is unparalleled. In 1985 Liam Lonergan co-founded Ryanair and subsequently went on to operate the Luton-Dublin route with Virgin Atlantic’s Richard Branson using our own aircraft. Visit Go4less’ website to find out more. Jobs Expo is taking place on Saturday 17th & Sunday 18th October 2015, at Cusack Suite, Croke Park, Dublin.